This morning, the NYPD began the first day of the Subway-Surface Air Flow Exchange program, an urban airflow study conducted with the Brookhaven National Laboratory, and funded by the Department of Homeland Security Transit Security Grant, which will generate valuable information on how to safeguard the New York City subway system against airborne contaminants. Air sampling is being conducted in parts of the Bronx, Brooklyn, Queens, Staten Island and in Manhattan, and researchers will disperse low concentrations of perfluorocarbons at several subway and street-level locations in Manhattan for 30 minutes during the morning of each study day. *Correction: We have been informed by the MTA that the flyer below was not an official MTA notification and was distributed by an unknown party (we originally wrote erroneously that it was an official MTA communication). The current post reflects information that has been provided to the public by the MTA and Aaron Donovan, Deputy Director for External Communications at the MTA. The flyer that was distributed by an unknown party on Tuesday. The NYPD will conduct the experiments for three days this July to help them plan for industrial accidents and terrorist attacks. Their tests will conclude just what the best emergency response to one of these incidents would be. 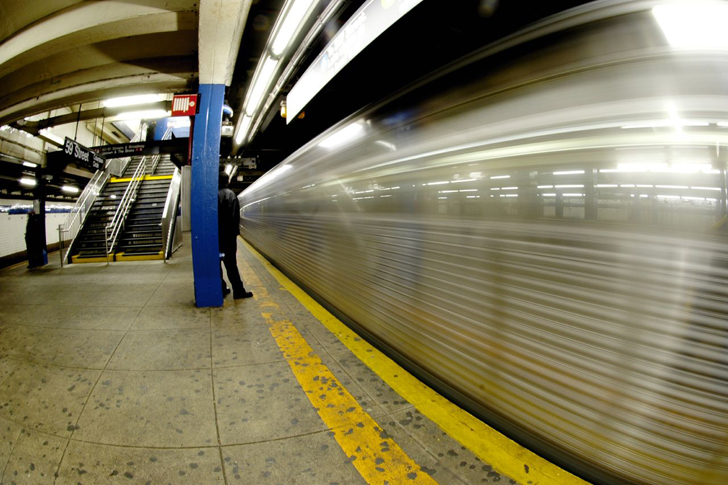 According to the MTA and Brookhaven National Laboratory’s website, the greenhouse gas used, perfluorocarbon, is a harmless tracer gas that is easily detectable with sampling devices throughout the subway system and on the street. Data on the human health effects of perfluorocarbon are sparse, and so far it is deemed mostly harmless, but it is worth noting that excessive exposure to perfluorocarbons may cause effects on the brain and heart. So the flyer was fake, but the information in accurate? Most people will see the "flyer was fake" and forget the whole matter. Nice subterfuge on that one. The author of this article is clearly oblivious to public discourse. The previous photos were of what was obviously an attempt to create an open dialogue about what the NYPD is doing and not just regurgitating a press release by the NYPD or MTA. You have a job as a journalist Lori, and its not regurgitation! billnyc...work for the city? MTA? hmmmmm? Can we find out what days so we can choose NOT to ride? This is not a real MTA notice. It was posted by somebody trying to spread fear, uncertainty and doubt. The gas used is not harmful, and the concentrations will only be one part in 1,000,000,000,000,000. Shame on whoever was passing out those flyers for using fear-mongering tactics to garner support for their cause! There are very serious environmental issues that need attention. This is not one, and this misleading behavior detracts from the environmental movement as a whole. Lastly, it is good that the MTA is doing this, as understanding how air moves through the system is an important thing to know, not only for early detection of chemical threats, but also for heating and cooling reasons. This study could lead to more efficient ventilation of the system, thus reducing greenhouse gasses!